The Oklahoma state seal identifies government buildings and officials. The symbolism, history and emblems of the Oklahoma seal are described in this article. 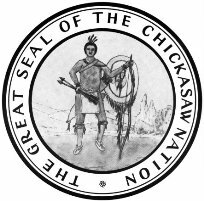 The Five Civilized Tribes are featured on the Oklahoma State Seal and is a term that was used to describe a collection of tribes and peoples from the mid 19th century. The Five Civilized Tribes consisted of the Cherokee, Creek, Choctaw, Seminole and Chickasaw nations who lived in the Southeastern United States until the 1820s. The Indian Removal Act of 1830 started the removal of the Five Civilized Tribes from their homelands to reservations in present day Oklahoma. 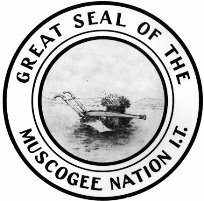 Each of the Five Civilized Tribes had a great seal, which was attached to its official documents just as the seals that are used by the officials of the various states and territories. The Oklahoma State Seal therefore represents a combination of six seals. In the center of the Oklahoma State Seal is a five pointed star is displayed in a circle, with one ray directed upward. 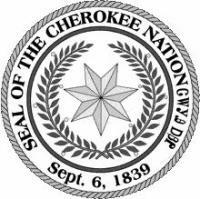 The star contains images of the six seals of the Oklahoma Territory and the Cherokee, Creek, Choctaw, Seminole and Chickasaw nations. 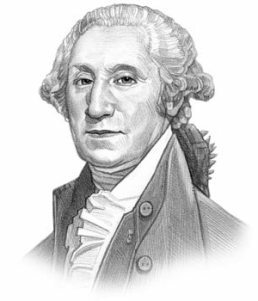 Columbia is the central figure on the Oklahoma State Seal, representing justice and Statehood. Columbia is a quasi-mythical name used for the USA who is visualized as a goddess-like female wearing classical garments decorated with the stars and stripes. On the Oklahoma State Seal Columbia is blindfolded in the same way as Justitia, the Roman goddess of Justice. The blindfold represents impartial justice and she holds the scales of justice over her head. Columbia is flanked by an American pioneer farmer and a Native American Indian who are shaking hands symbolizing equal justice. Beneath the trio is the cornucopia (horn of plenty) a symbol of abundance and an olive branch a symbol of peace. They are framed by the sun as a symbol of progress and civilization. The Seal of the Chickasaw Nation is depicted in the top ray of the star on the Oklahoma State Seal. A Chickasaw warrior is shown standing in ancient regalia, carrying two arrows in his right hand, a long bow in his left, and a shield on his left shoulder. The two arrows represent his guard over Chickasaw tribe. The bow and the shield represent the insignia of the Chickasaw warrior by right of his descent from the "House of Warriors". 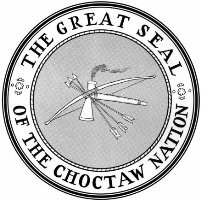 The Seal of the Choctaw Nation is in the upper right-hand ray of the star in the Oklahoma State Seal and contains symbols of the nation. The symbols are an unstrung bow with three arrows and a pipe-hatchet (calumet) blended together. The ceremonial pipe was passed around and smoked in council when deliberating important tribal matters. The Choctaws were noted for great strength in defending their homes and country. The unstrung bow represents peace but readiness to defend. The three arrows represented three great Choctaw chiefs. The Seal of the Seminole Nation is in the lower right-hand ray on the Oklahoma State Seal. 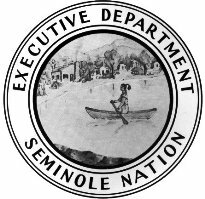 It consists of a plumed Seminole Native Indian shown paddling a canoe across the lake to a village with a trading post standing near the shore. This scene represents some of the early customs surrounding the act of gathering, preserving and trading plants that were held sacred in connection with their ancient tribal religious rites and ceremonies. The image is symbolic of peace and plenty. The Seal of the Creek (Muscogee) Nation is in the lower left-hand ray of the star on the Oklahoma State Seal. It consists of a sheaf of wheat and a plow. The plow and sheaf of wheat were chosen as modern symbols of agricultural industry, for which the Creeks were noted from earliest times and symbolizes the prosperity that agriculture brought to the Creek people. The Seal of the Cherokee Nation is in the upper left-hand ray of the star on the Oklahoma State Seal . It consists of a large seven-pointed star, surrounded by a wreath of oak leaves. The seven-pointed star represents the seven ancient clans of the Cherokee people. The wreath of oak leaves refers to oak wood, the principal hardwood in the old Cherokee country in the Carolinas that was used in maintaining the perpetually burning sacred fire. Oak was a symbol of strength and everlasting life. 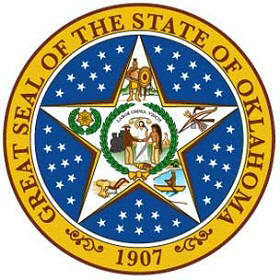 The Oklahoma State seal is kept and used as required by the Constitution and laws of the state. 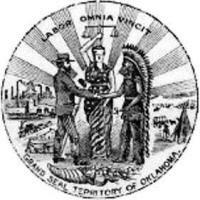 This is an early flyer depicting the 1876 design of the Oklahoma territory seal which is the same as the modern version. The pictures surrounding the Oklahoma territory seal represents the importance of farming and agriculture to the early economy of Oklahoma and also depicts a wagon train carrying settlers to a new life. Official Oklahoma Nickname "Cowboy Country"